A cruise missile does exactly what its name says. It cruises, over land or over water. Its working is similar to a jet engine powered airplane. They were developed in the 1930’s and 40’s and first saw action during World War II where the Nazis used the V1 cruise missile. Since then, it has undergone a major evolution into a lethal weapon in the modern battlefield which is very difficult to escape from. Cruise missiles are either subsonic or supersonic depending on their propulsion and design. These are the cruise missiles which are designed to hit stationary or moving targets on land. The first cruise missile used in combat, the V1, was a land attack cruise missile. It was guided by primitive mechanisms which reduced its accuracy greatly. Modern land attack missiles have the ability to take out a building by entering through the window or to hit a single vehicle in a convoy with precision. Such is the improvement made over the years. Nearly all these missiles cost more than a million dollars apiece. But their accuracy and range have made them the preferred choice of attacking heavily defended targets instead of manned combat aircraft. Only USA and Russia have developed long range land attack cruise missiles which have ranges of 1000-3000 km and can be fired from Land, Ships, Aircraft and Submarines. The rest of the world is playing catch up and it’s only recently that many European and Asian countries have acquired long range land attack cruise missiles which can be fired from multiple platforms. One major user of LACMs is the US. They have fired hundreds of Tomahawk Land Attack Missiles (TLAMs) from ships, submarines and aircraft during the wars in Iraq, Afghanistan and Libya. This tactic, though expensive, proved highly successful as they managed to attack heavily defended targets without risking their fighter pilots. They used the loitering ability and the TV camera of the tomahawk to hit targets with great accuracy and at the optimal time. This made the Tomahawk missile world famous. Anti-ship missiles are similar in structure to LACMs, but they differ from them in guidance systems and warheads. AShMs were first developed during WW2 but never saw action. But as big guns were becoming obsolete in naval warfare, cruise missiles were preferred as their replacement as they offered a far greater and accurate punch at long distances when compared to the biggest guns in use at that time. 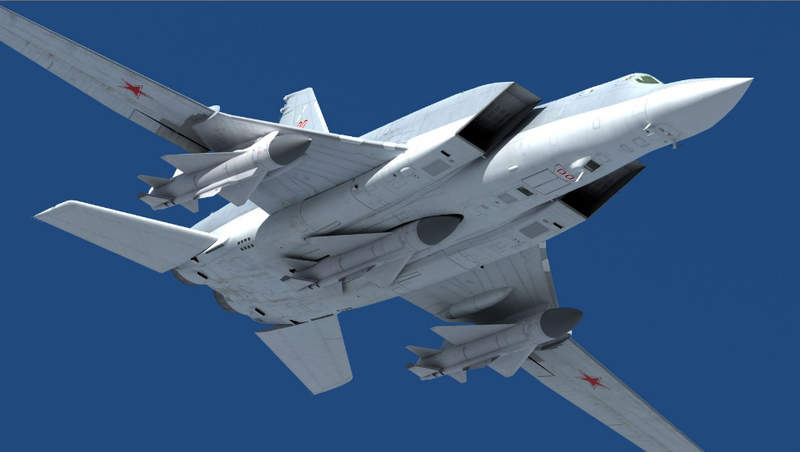 The Soviets and Americans built many prototypes, but the Soviets were the first one to equip all their ships with long range anti-ship cruise missiles, most of which were supersonic. The American played catchup for the next 15 years and eventually managed to deploy the Harpoon AShM. The first Soviet AShM to be popular was the P-15 Styx. This was a cheap to build missile with a powerful 450 kg warhead and a range of 80 km. This missile was built and deployed in thousands and saw extensive action in wars around the world. Since it was supplied to Soviet allies and friends, these countries managed to inflict massive damage on the navies of countries who were using western equipment. The French Exocet missile also saw huge success in several wars which showed how deadly these missiles can be in a war and that a million $ missile can sink a 500 million $ ship.The success of these missiles in conflict increased the demand for Anti-ship cruise missiles and big guns slowly became obsolete. Jet engines are the main propulsion system for a cruise missile. In jet engines, there are many types which are used on different missiles depending on the requirement. Some supersonic cruise missiles like Klub, make use of a rocket motor in their terminal stage to propel them faster than the speed of sound. But very few make use of rocket motor propulsion as it gives very less range when compared to a jet engine. Missiles that travel faster than Mach 1 qualify as supersonic missiles. These missiles are used excessively by Russia who depend on the speed of these missiles to evade enemy air defenses. The advantage of this high speed is that the enemy has very less time to react when the missile is detected. The high speed also renders several defense systems useless against these missiles. The disadvantage is that you cannot have a long range supersonic missile without it being of extremely large size. Missiles which travel at speeds in excess of Mach 5 are termed as hypersonic missiles. These missiles are mostly experimental and are currently not deployed for active use unlike supersonic missiles. USA, Russia, India and China are supposed to have hypersonic cruise missiles under development for active deployment. The flight path followed by cruise missiles depend on their launch platform, guidance systems and the target. Anti-ship cruise missiles generally follow a sea skimming profile. This means that the missile flies just a few meters above the water surface. This flight profile makes the missile invisible to enemy radar until it is just round 30 km away from the ship due to the earth’s curvature. Flying low delays its detection by the enemy unless the enemy has an airborne radar. But flying low has its disadvantages as well. Fuel consumption is high when following a sea skimming profile. Range at sea skimming height is 30-40% of the range at high attitude flight. Land attack missiles generally follow a terrain hugging profile. This means that they closely follow the ups and downs of the terrain and remain hidden from detection by radars due to their low altitude. Many cruise missiles follow a mixed trajectory. Once they are launched, they fly at high altitude for optimum range and when they approach their target, they climb down to a few meters altitude and make their final approach towards the target. This offers the range advantage of high altitude flight and the radar evading ability of the sea skimming flight. Many modern cruise missiles follow this flight profile and some of them go supersonic at the terminal sea skimming phase. Some cruise missiles fly exclusively at a high altitude and then dive down towards their target. This flight profile gives a very long range to the missiles as the thin air at high altitudes gives very low resistance to the flight of the missile and reduces fuel consumption of the engine. The disadvantage of this flight profile is that the missile becomes easy to detect and shoot down. Airplanes are very fast and flexible launch platforms for cruise missiles. They are mainly used to fie anti-ship cruise missiles. It is because the aircraft can launch a missile at a target, far from its base or carrier and return back to base within minutes. Other platforms don’t have this much speed. The effectiveness of this platform has been exhibited when Exocet missiles fired from fighter aircraft were able to destroy several British warships during the Falklands war. Large bombers are often used as cruise missile carrier and examples like the Russian Tu-95/160 and the American B-52 can carry around 15-20 cruise missiles and serve as airborne missile batteries. Trucks and fixed launchers are used to launch cruise missiles on land. Trucks are used extensively because of their mobility and the ability to deploy them at any required place in a conflict. Land attack missiles and Anti-ship missiles are truck based and are used to attack high value enemy ground assets and for shore defense respectively. Ships carry a huge number of cruise missiles when compared to land and air based platforms. Anti-ship missiles are carried to sink enemy ships in battle and land attack missiles are carried to attack enemy targets on land, far away from the reach of land based platforms. US Navy is the only one in the world whose entire fleet of destroyers and cruisers can carry long range Tomahawk land attack missiles. The usefulness of this ability was proved in the Gulf war when these ships fired hundreds of cruise missiles at enemy targets on land. Russian Navy ships are generally regarded to have the best anti-ship capability in the world with their supersonic missiles fitted on nearly all their major warships. Submarines are a very stealthy and dangerous platform for launching cruise missiles because they can fire these missiles while still underwater and then disappear to great depths. This makes it difficult to detect and eliminate this platform in a war. They can fire cruise missiles either rom their torpedo tubes or from Vertical launch cells which are specially fitted. The nuclear powered American Ohio SSGN carries 154 Tomahawk LACMs and the Russian Oscar SSGN carries 24 long range Granit AShMs. Modern subs like Yasen class can carry a mix of LACMs and AShMs in their VLS. These capabilities can prove deadly to the enemy in a conflict. In this technique, the missile is ejected from its launch tube using compressed air. The missile boosters fire once the missile is ejected clear of the ship. Since the missile booster is not ignited in the launch tube itself, the launcher and its surroundings don’t get heated up. Hence the launch is termed as a cold launch. Cold launch is considered to be a safer way of launching missiles as there is no chance of accidental detonation of the missile when it exits the launcher because the missile boosters aren’t ignited till it clears the ship. It is used in Surface to Air missiles (SAM) on ships and extensively for Cruise missiles on submarines. In this technique, the missile booster ignites when the missile is in its launcher itself. The missile is thrust out of the launcher under its own propulsion. This type of launch gives what is known as a back blast and heats up the launcher and its surroundings. Hence it is termed as a hot launch. This type of launcher was the earliest one where the cruise missile was mounted in a missile tube at a particular angle. When the missile was fires, it exited the launcher in the same direction. To fire the missile at a direction other than forward of the launcher, the entire ship had to be turned towards the target. This made it a slow and non-flexible launcher and the angled tubes also occupied a large amount of space. This launcher was extensively used in the 20th century, and has been replaced by modern vertical launching systems nowadays. But there are modern angled launchers as well. These have missiles which can change direction immediately as they exit the launcher and clear the ship. The advantage of these launchers is that they do not require any deck penetration and ca be easily fitted on any warship with enough deck space .Thus the angled launcher continues to find a place in navies all over the world. This type of launcher was used extensively by the US Navy for firing their cruise missiles. Their frigates and destroyers during the 70s had one or two sets of box launchers which consisted of 8 boxes of cruise missiles each. These launchers could be trained to fire in a required direction unlike tube launchers which are stationary. They were fitted with Harpoon and Asroc missiles. Box launchers were earlier used for Tomahawks as well. Royal Navy also used box launchers for their Exocets. But they were bulky and did not justify the space they occupied and were replaced by vertical launchers. This is currently considered as the holy grail of missile launching systems. It eliminates all the disadvantages of the other 2 types of launchers. It has become very widespread, especially among the top navies in the world owing to its simplicity, flexibility, size, lack of moving parts and the ability to fire missiles faster than any type of launcher. The missiles are just stored in canisters in these vertical launch cells and they don’t need any maintenance. Vertical launchers generally have different types of launchers for different missiles. But the US were the first to introduce the concept of universal vertical launching system which allows the same launcher to carry a variety of missiles including surface to air missiles. This has been installed on a large number of vessels of various countries. Countries like Russia and China have now developed these UVLS which has gained a lot of popularity owing to its advantage of high flexibility and will be the most popular missile launcher in the future. The guidance for the cruise missiles is provided by GPS, Inertial guidance system, lasers, TV, Infra-red and radar. Sometimes a combination of two or more systems can be used to provide precision guidance and targeting to the missile. GPS guidance depends on a GPS or a GLONASS satellite system. A GPS chip in the missile takes directions from an overhead satellite which allows it to hit a stationary target with extreme accuracy. A secondary TV guidance is commonly used with subsonic missiles like Tomahawk to identify the target or re target the missile. This increases the chance of the missile hitting the target. A laser guidance system is generally used on short range cruise missiles. A laser targeting system paints the target. A laser sensor in the nose of the missile detects the painted target and flies towards it. This targeting system is unreliable as the presence of dust and smoke in the battlefield can mess with the lasers and the painted target may not always be visible to the missile. If laser guidance is used on a long range missile, it is mainly as a secondary and terminal targeting system to hit a target among a group of non-hostiles. Inertial guidance is something everyone is not familiar with. This is the simple and the earliest guidance system, but it is still used today due to its independence from external support and guidance systems. It consists of a preprogrammed flight path which makes use of motion sensors and gyroscopes to guide the missile near its target and then a secondary and precision targeting like GPS, Infrared or Laser takes over. The missile will be programmed like this for example. Fly at 300 m for 60 seconds, change direction 7 degrees north east, decrease altitude to 100 m and increase speed to 450 knots. This allows the missile to follow a preprogrammed path which it won’t deviate from. Missiles like Brahmos use a combination of Inertial and GPS guidance. TV guidance is a simple method. It is used alone in case of short range missiles. But it’s used as a terminal guidance system in long range missiles. It consists of a TV camera fitted to the nose of the missile. As the missile approaches the target, the operator can visually identify the target and guide the missile towards it. It’s very useful in situations where you need to pick out targets in civilian areas. Since we can visually identify the hostiles, civilian casualties can be avoided. It’s been used on the AGM 65 maverick, Tomahawk and other missles. This TV guidance system allows Tomahawk to abort an attack in case an irregularity is detected visually which is not possible to be detected by radar. IR guidance is also one of the earliest guidance systems. The missile which achieved a notorious amount of kills with IR guidance is the Russian Styx. This large missile with its 450 kg warhead and terminal IR guidance was used in several wars in Asia where it achieved a large number of kills. IR guidance is almost outdated if used alone in modern warfare as it can be devoted easily by the use of flares. It also has no way of differentiating friendly targets from hostile ones in crowded areas. Radar guidance is one of the most popular methods used to guide cruise missiles. Fire control radars are present on all major warships and they illuminate the targets for the missiles to follow and hit. The missiles themselves are often equipped with active or passive radars in order to guide themselves towards the targets beyond the radar horizon. Passive radars on board missiles depend on radar emissions from enemy ships or installations to detect and home in on the target. Whereas active radars in the missiles use their own emissions to locate the enemy ships and structures and home in. Terrain contour matching is another method of navigation used by cruise missiles. Contour is nothing but the outline of the land and its uneven projections and structures on it. It can be used on LACMs as AShMs don’t have any terrain to follow over water. A terrain map is compared to the current terrain over which the missile is flying using an on board radar altimeter which calculates the current altitude of the missile. The altitude is matched with the terrain contour map and the missile stays on the required path. Sometimes TERCOM is combined with inertial navigation so that the missile can follow its pre-defined path with high accuracy. Cruise missiles form a major part of modern warfare and have spread extensively to all branches of the military. Their effective use in a modern conflict can change the outcome of war without resorting to nuclear weapons. Improvements in cruise missile technology will see more intelligent, self-maneuvering and hypersonic missiles flood the world market. But whatever happens, cruise missiles will remain one of the most reliable weapons for the foreseeable future. Good information on cruise missiles, they all cost over 1 million a each. The tomahawk is probably the one I'm most familiar with. Cruse missile have gone through some major upgrades over the years. And for the defence aspect too it must be difficult to combat such arms. I mean that's an interesting still from the missile connecting with the vessel in the Falkland's War... I'd like to see a still of a hypersonic penetration. Great postr and very interesting read! While i was aware of what a cruise missile was, i never realised the sheer size of them; theyre huge! The biggest surprise for me was the cost; i never realised that one missile cost so much. Christ!! Here is something a lot of people may not know, the actual inventor and founder of the V1 was a German. V1 stands for Vergeltungswaffe 1 and was actually engineered by German Robert Lisserr who used a special kind of jet engine and relied on a mechanical type of “autopilot” for guidance. During the end of the World War he was "rescued" by the american government from Hitlers group of strongest leaders under him. We then gave him sanctuary and protection to work as he pleased. His agreement with USA was to come willingly as long as he could conduct his work as he wanted. Lisserr's real dream was not to create weapons, his real dream was for interstellar travel. And his creation in the V1 Cruise missile that went to the V2 was used in the even todays Model of our NASA Space vessels we fly up in space with. His original Models he built back during the world war is one that is still used as the basis of our space vessels and upgraded today. His dream was to get to mars, not to destroy people. This explains why Hitler seemingly had so much "interest" in space. not because he was interested but more so because the people under him were.